Learn the fundamentals of making socks in this three week course. 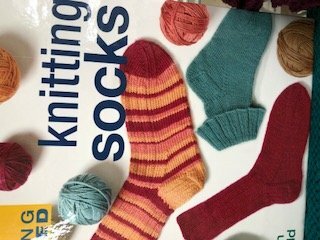 The class will be three half day sessions to learn knitting socks. Crazy sock yarn makes crazy socks. Come enjoy keeping your feet warm and cozy.